I'm so excited to bring you along on our journey down the aisle! I feel like I'm going to jinx it if I say the wedding planning is underway and I'm feeling calm. At first, I was stressed out. Like freaking out on the inside that nothing was getting done, but now that a few things are in the works I can finally breathe! 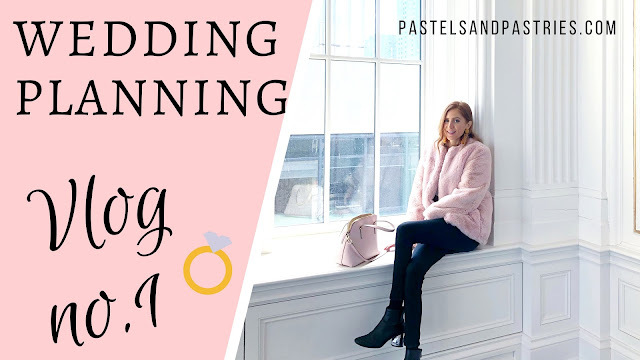 From guest list woes to bridal shows, check out the first installment of my wedding planning vlogs to see just what we are checking off our list. And please guys... let me know what you want to see! More dresses? More wedding? More what?! Let me know. I love sharing this with you! I'd love to keep seeing all the wedding updates! It's so nice following along!